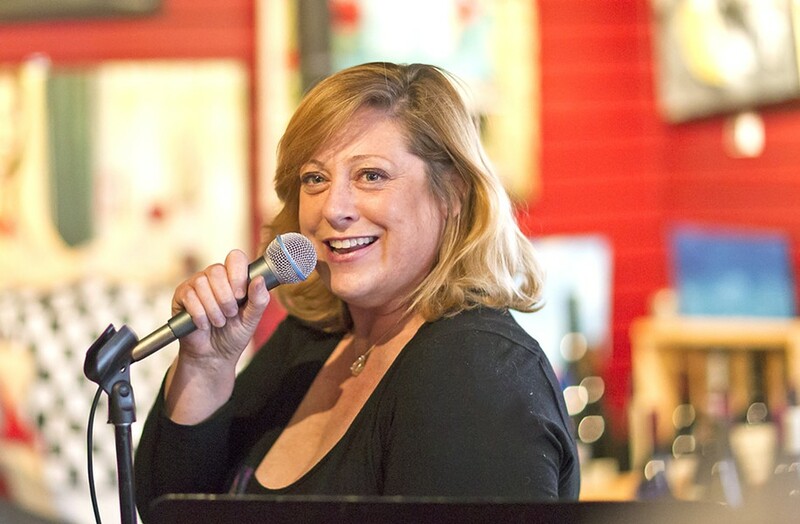 Sign up for the Cabaret Singing and Performance class through Cuesta College's Community Programs online at cuesta.edu. The fall class starts Aug. 30 and is on Wednesdays from 6:30 to 9:30 p.m. on the SLO campus. The cost is $185 per student. 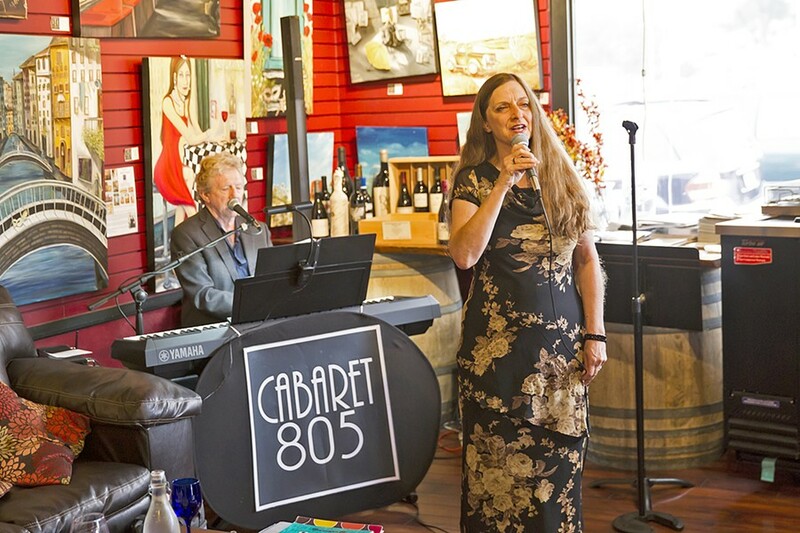 Catch a performance by singers from Cabaret 805 at Stax Wine Bar in Morro Bay on Tuesdays starting at 6 p.m. See the Cabaret 805 Facebook page for more information on upcoming performances. It's a Tuesday night and this joint in sleepy Morro Bay is surprisingly packed. It could be the offering of local and imported wines at Stax Wine Bar or tasty bites like crostini a la filet mignon. But then a woman in a long dark floral dress approaches a microphone set up in the corner and heads turn. She softly purrs out a mellow rendition of "L-O-V-E," crooned by greats like Frank Sinatra and Nat King Cole. As she sings "Love is all that I can give to you," it becomes clear this is what the people came for. CABARET, SLO STYLE Valerie Pallai, a singer with local group Cabaret 805, finishes a performance at Stax Wine Bar in Morro Bay. 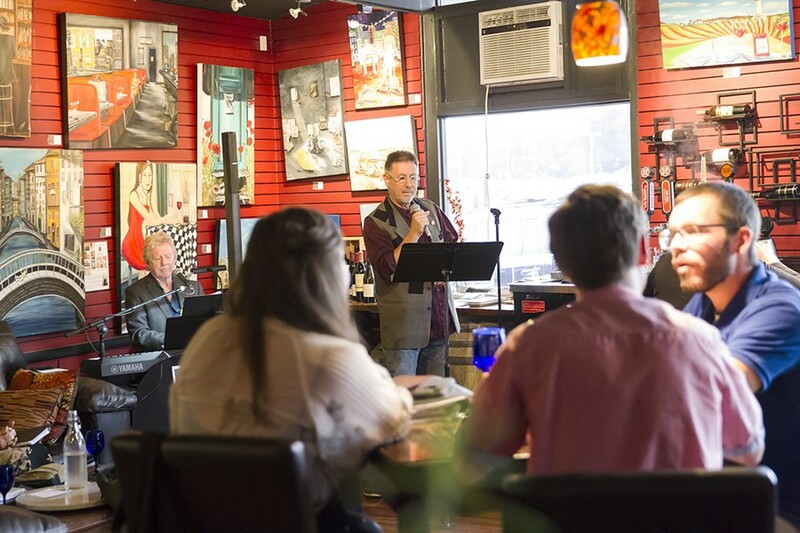 "It's not karaoke," said Grant Crowl, the man behind Cabaret 805, the group regularly performing at Stax Wine Bar. "A person who sings karaoke tries to duplicate what the recording artist sounded like. With cabaret, you're interpreting the song from your point of view, from your life experiences." Most of the 18 or so singers who perform regularly with the group have also taken Crowl's Cabaret Singing and Performance class through Cuesta College's Community Programs, which is going into its third year with the upcoming fall session that starts on Aug. 30. "People need to sing," Crowl said. "They shouldn't be singing in their living rooms only." While the strict definition of cabaret can feel elusive, audiences can generally expect a singer performing live with the accompaniment of a pianist. They might be belting out numbers from the Great American Songbook (think, "I've Got You Under My Skin") or more modern numbers (like "Close To You"). And it all typically goes down somewhere that serves booze and food. THE JOY OF SONG Grant Crowl, the teacher behind Cuesta College's cabaret class and the group Cabaret 805, sings a tune at Stax Wine Bar in Morro Bay. Crowl, who was bitten by the cabaret bug in the early 1990s in Long Beach, now teaches students in his class how to select and interpret a song, and most importantly how to pick the right key for each performer to sing in. Cabaret isn't necessarily about hitting the crazy high notes. After all, Crowl pointed out, singing softly is more akin to talking, which is what a cabaret singer is trying to do with the audience anyway. The cabaret wardrobe can be a bit more casual for Central Coast venues, Crowl said, but at the end-of-semester showcase on campus, expect sparkly gowns and snazzy suits. The room is transformed with cloth-covered tables, candles, desserts, hot beverages, and a two-hour live show—all for $15 per person. CROONING AWAY Michelle Potts takes a turn at performing a cabaret style song during a Cabaret 805 show. "It's much more like a nightclub, like the old style cabaret shows," Crowl said of the showcase. But his favorite part is the joy that he sees from both the performers, who now have an outlet for their art, and audiences, who haven't quite seen anything like this before. Ryah Cooley is sipping wine at the bar at rcooley@newtimesslo.com.